In recognition of Women’s History Month in March, Vermont Public Radio featured women artists of note from the region. Former teacher and historian Nancy Osgood presented a segment on Dewees Cochran of Norwich, a designer and innovator who created some of the most compelling dolls ever to delight children and collectors. Cochran lived and worked in Norwich from 1947 to 1960, where she fashioned some of the dolls for which she is best known – her “portrait,” “look-alike,” and “grow-up” dolls. Life magazine and Vermont Life featured articles about her and her doll making. Eager buyers flocked to department stores in New York and Chicago to purchase them. Click here to listen to Nancy Osgood’s VPR presentation. 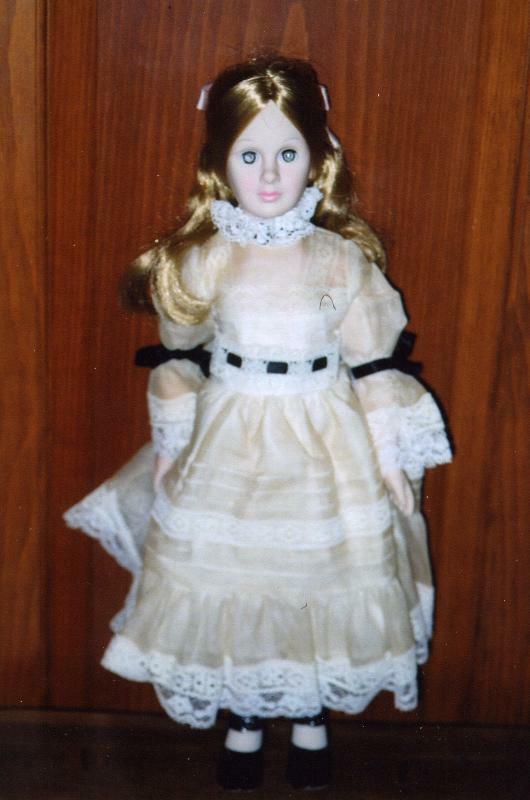 Ms. Osgood is a volunteer and past trustee of the Norwich Historical Society which has three Cochran dolls in its collection. 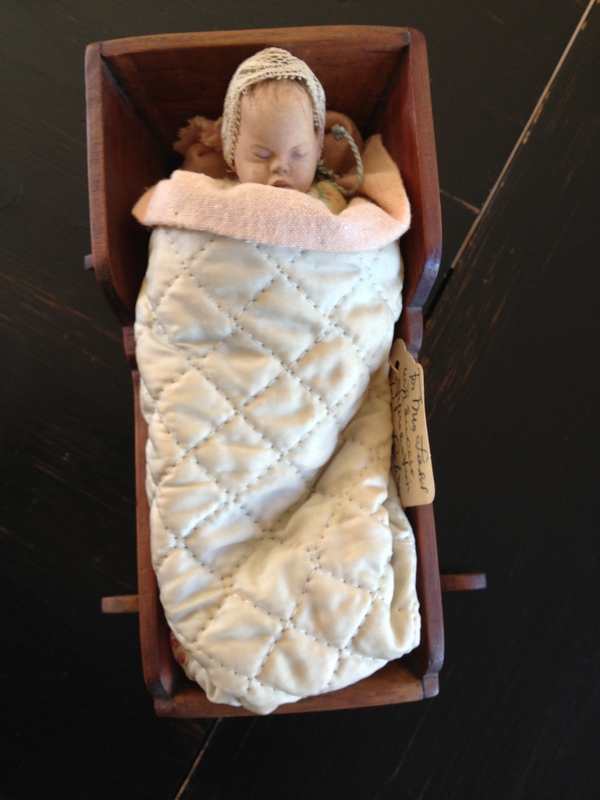 Miniature coll and cradle by Dewees Cochran. Gift of Rose Bender.